Midd-West’s Hunter Wolfley steals second base as Greenwood second baseman Isaac Myers awaits the throw. Backing up the play is Wildcats’ shortstop Aaron Morder. 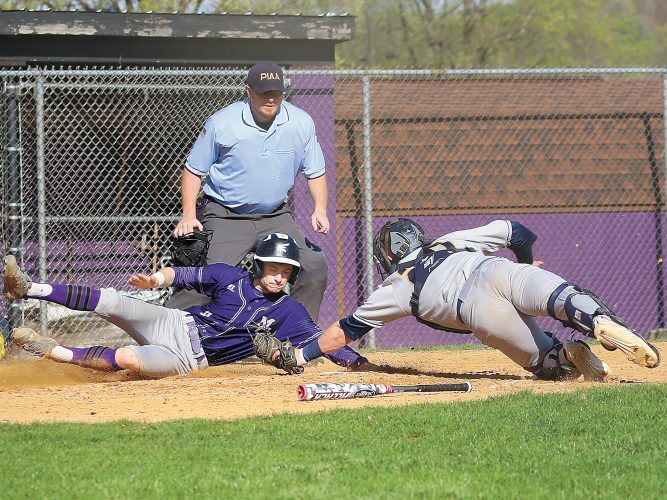 MILLERSTOWN — If there was ever karma in sports, Greenwood’s Aaron Bollinger experienced it Friday afternoon in the Wildcats’ 7-6 win over Midd-West in a nonleague baseball game. The game was called after six innings on account of darkness. Bollinger got the starting nod for the Wildcats, but due to slick conditions, he had a tough going against the Mustangs’ lineup. The Mustangs struck for six runs by the end of the third inning — five of them earned. To make matters worse, Bollinger couldn’t quite find luck in the batter’s box either, striking out once and squaring up on the ball another two times only to hit right at someone. That includes being the leadoff hitter in the Wildcats’ seven-run sixth inning where he hit a hard grounder to Mustangs’ pitcher Cade Grossgrove, who made the play. Things then began falling apart for Crossgrove, who up to that point had allowed only two hits and walked two batters. Garrett Howell got the scoring started for Greenwood when he doubled to left to drive in Bryce Dalpiaz, who singled in the previous at-bat. The Mustangs then couldn’t get out of their own way, committing four errors without the benefit of recording three outs. The first was an errant throw to first that went over the fence in an attempt to get Avery Morder, allowing Howell to score. The Wildcats proceeded to load the bases when Austin Murphy worked a walk and the Mustangs committed another infield error off the bat of Reilly Taylor. Between all of that, the Mustangs got the second out under the infield fly rule. When the lineup changed over, Aaron Morder worked a full count walk to score Avery Morder while No. 2 hitter Luke Myers reached on an infield single to not only score Murphy, but represent the winning run with Bollinger stepping to the plate. Fortunately for Bollinger, both of those events occurred leading to the wild finish. Bollinger managed to hit the ball just fair down the left field line to score Taylor and and Aaron Morder. However, the Mustangs then had a tough go of things in attempting to get the ball back in, committing their third error of the frame. They then committed their fourth error of the game on the same play in an attempt to get Bollinger at second only to overthrow into centerfield to score Myers as the winning run. Bollinger went three innings on the mound for the Wildcats, striking out five hitters and walking another three. The Mustangs were able to find the gaps and make the starter work hard for outs. 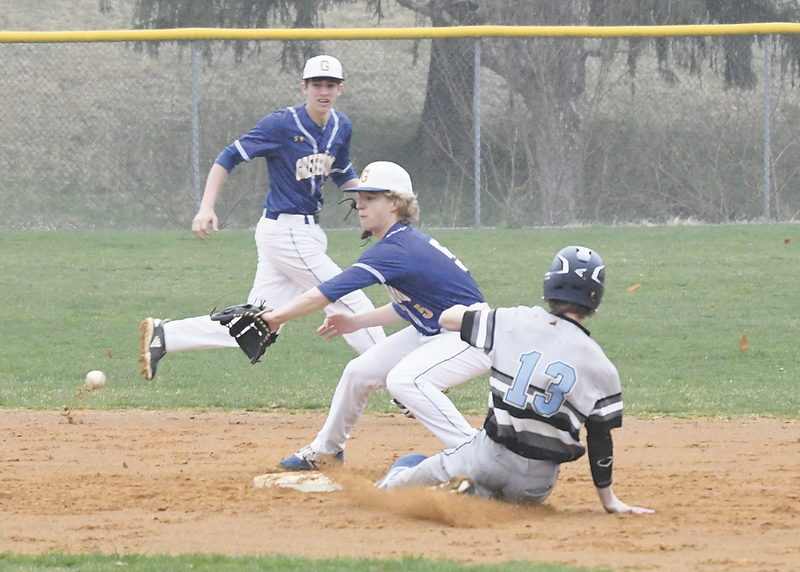 Midd-West’s best offensive showing was in the third inning when they got four consecutive hitters — Crossgrove, Ben Kratzer, Chase Mattern and Brayden Swineford — to reach base via a walk and three straight singles. The biggest was Swineford’s knock to centerfield that scored both Kratzer and Mattern. Greenwood, unlike Midd-West, opted to go in a different direction on the mound, handing the ball over to Austin Murphy. Looking back, that move may have been more beneficial to the Wildcats than anything the bats did at the end. Murphy was nothing short of great for the Wildcats, displaying a line full of ones — one hit, one walk and one strikeout — over three innings of work. He was in the zone for much of the outing, having only three at-bats last five or more pitches. Greenwood travels to Newport while Midd-West travels to Lewisburg, both Monday. WP: Austin Murphy. LP: Cade Crossgrove. SO: Crossgrove 2 (MW); Aaron Bollinger 5, Murphy (G); Crossgrove 4 (MW); Bollinger 3, Murphy (G). 2B: Cam Richard (MW); Garrett Howell (G). MH: Richard 2-4, Chase Mattern 2-4 (MW). RBIs: Richard 2, Brayden Swineford 2, Crossgrove (MW); Aaron Morder, Luke Myers, Bollinger 2, Howell (G). 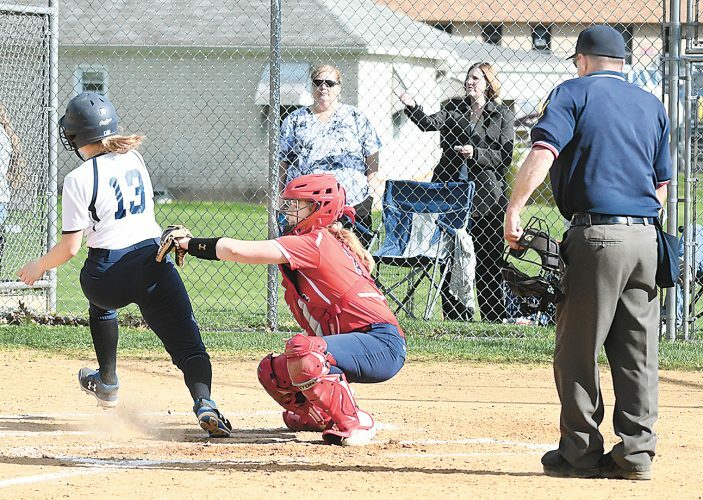 MIFFLINTOWN — Juniata had no answer for Upper Dauphin’s offense in a 17-3 loss in Tri-Valley League softball Friday afternoon. Hunter Johns had the Indians’ lone extra-base hit, a double. She also had one of the Juniata’s two RBIs. Juniata travels to East Juniata Monday. WP: E. Fox. LP: Ally Misal. 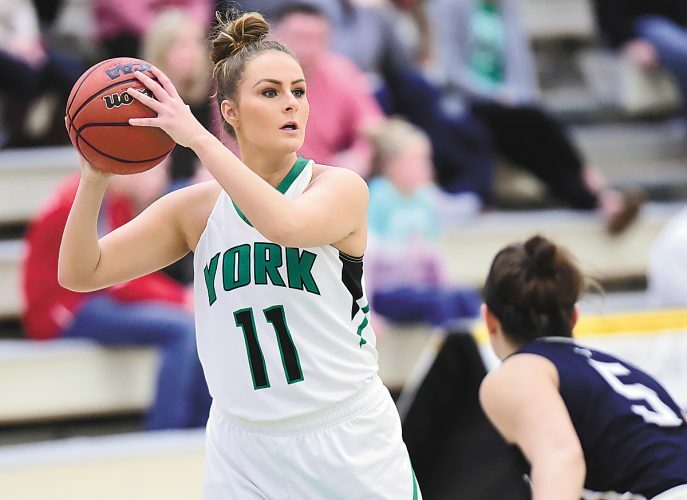 SO: Fox 4 (UDA); Abby Adair 2 (J). BB: Fox 2 (UDA); Adair (J). HR: L. Lenker 2, T. Lenker 2 (UDA). 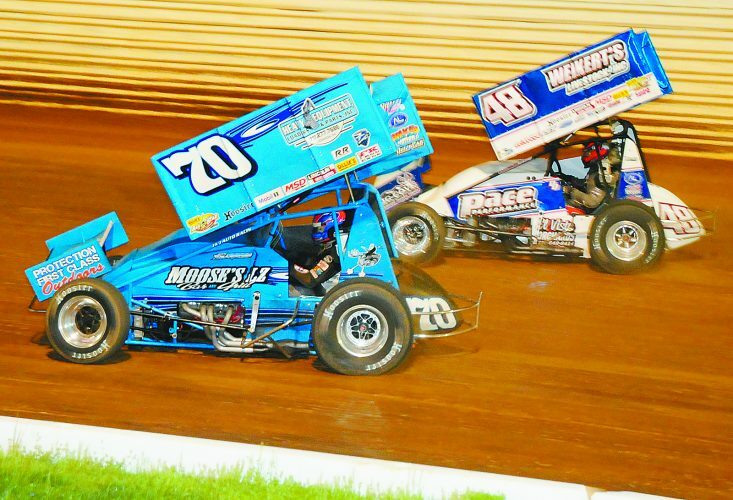 2B: L. Lenker, M. Miller (UDA); Hunter Johns (J). MH: L. Lenker 5-5, T. Lenker 2-4, M. Miller 2-3, E. Fox 2-4, L. Mosier 2-4 (UDA). RBIs: L. Lenker 7, T. Lenker 5, M. Miller, E. Fox, J. Stonercap, E. Nestoli. ¯ A-game: Mifflin County 3, East Juniata 0. Brynn Knepp scored a goal and assisted on another for the Huskies.